Was born 1961 in Ostrava, Czech Republic. Czech performer, artist, photographer, curator, professor. teacher of Czech language and Art. From 1994 freelance artist in paintings, performance, new media; art exhibition curator, writer, publicist, and cabaret actor. 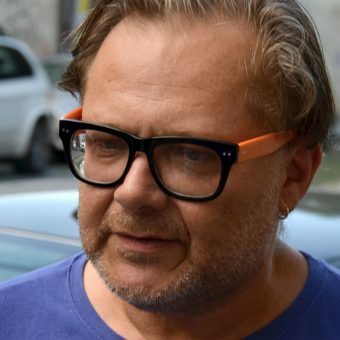 Co-founder of the performance group Vorkapelle Lozinski, leader and writer of the performance cabaret «Fun masters comeback» (1988-1992). Founder and curator of the Performance Festival MALAMUT in Ostrava. Now he is a professor and head of New Media Department at the Faculty of Art, Ostrava University. Author of numerous exhibitions and solo projects in Czech Republic, Poland, Austria, Germany, Ukraine, Slovakia, USA.